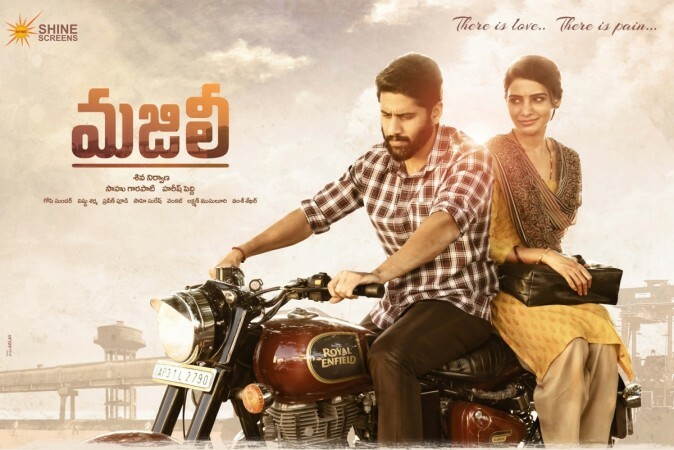 Majili has crossed Rs 50 crore gross mark at the worldwide box office in its 2nd weekend to become the first film of Naga Chaitanya to achieve this feat. It has earned a share of Rs 30 crore for its distributors. Majili continued to keep cash registers ringing at the worldwide box office in the second weekend too and has crossed Rs 50 crore mark in 10 days. It is the first film of Naga Chaitanya to achieve this feat. Having opened to a massive response, Majili crossed the Rs 40 crore gross mark at the worldwide box office in its first week. In just seven days, the movie became the biggest opener for Naga Chaitanya, beating the lifetime records of his previous films. Trade experts were sceptic about its prospects in the second week, as the movie clashed with new release Chitralahari starring Sai Dharam Tej and Kalyani Priyadarshan. Majili lost some screens to Chitralahari, but it remained strong in the existing number of cinema halls. In fact, some theatres witnessed 100 per cent occupancy even on its second Friday. The bosses of Shine Screens‏ tweeted on April 12, "#Majili enters super successful second week and still going strong in all centers. Thanks for loving and making it a BLOCKBUSTER ❤"
Having remained strong on the following days, Majili is estimated to have collected over Rs 8 crore gross at the worldwide box office in its second weekend, taking its 10 day total to Rs 53 crore gross. The movie has earned a total of Rs 30.93 crore for its distributors, who had invested Rs 21.14 crore on its theatrical rights. The bosses of Shine Screens took to its Twitter page to confirm the news about Majili crossing Rs 50 crore mark at the worldwide box office in its second weekend. They wrote, "50+ Cr NOT OUT WORLDWIDE #Majili - Sensible Summer Blockbuster of 2019. @samanthaprabhu2 @chay_akkineni @shivanirvana @shine_screens #BlockbusterMajili." The success of Majili has brought smiles on the face of fans of Naga Chaitanya, who churned out back-to-back flops in recent years. A fan named M S Krishna Prateek tweeted, "Overall, #MAJILI is finally a much-needed "blockbuster" in terms of trade for @chay_akkineni and so happy with the way Poorna "Maayya" is continuing his batting at the Box-office in heading towards a "double blockbuster!"